Welcome to Jack Australia EWP training for elevating work platform in Sydney, in partnership with HPOTS RTO No- 90352. 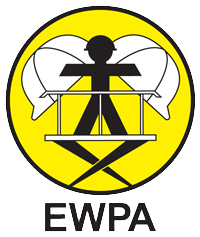 Jack Australia provides EWP training for both below 11 meter Yellow card, EWPA accreditation “Trained Operator Card” for the safe use of scissor lift, knuckle boom lifts up to 11 metres. And/Or Safework, high risk (HR) licence, identified as TLILIC2005A licence to operate a boom type elevating work platform (boom length over 11 metres or more) Unit Of Competency. Our Elevated work platform training facility is located in Riverstone, North Western Sydney, approximately 5 mins drive from Rouse Hill Town Centre, and just a short walk from Riverstone train station. Located approximately half way between Windsor and Seven Hills. The Nearest train station is either Riverstone, or Vineyard railway station. Our Elevating work platform training facility is approximately a 10 minute walk from either train station. 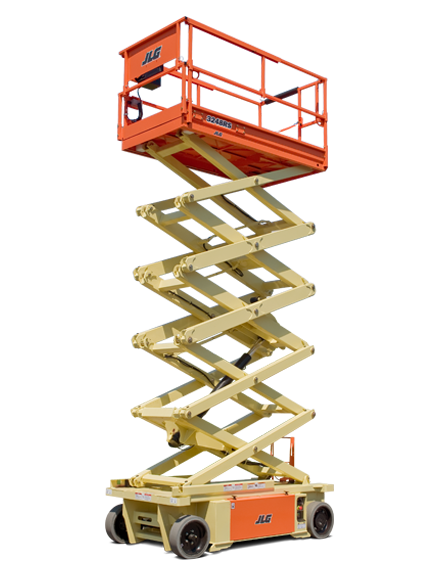 has dedicated elevated work platforms, serviced & set aside for training purposes. We will provide EWP training for one applicant or small to mid sized groups per training session. Guarenteed !!! If you are the only EWP training applicant, that’s fine, you can reply on us not to cancel on you !!! We pride ourselves in never cancelling an EWP training session regarless of class size !!! Ask our competitors if they can provide the same guarantee !!! Elevated work platform training placements are NOT available to applicants who do not make prior booking via our booking system. Potential applicants must contact with staff via telephone or email to confirm booking. We maintain a maximum class size of approximately six (6) applicants per EWP training session, however individuals and small numbers are also welcome. We supply the relevant EWP, elevating work platforms such as knuckle booms, scissor lifts, vertical lifts, use of these access machines are included in the cost of EWP training, however for trailer & truck mounted EWP’s there may be additional hire charges as part of the package. ” High risk licencing system”? Our elevated work platform training program, has been designed to deliver the skill requirements that need to be demonstrated to attain a high risk work licence as detailed in units of competency outlined in NTIS training packages, and required by WorkCover. On 1st September 2009, WorkCover NSW implemented a National Standard for licencing persons performing high risk work in areas including scaffolding, rigging, dogging, forklifts, crane operations and EWP work platforms. The previous system allowed these categories to be trained from either a non accredited trainer or a Registered Training Organisation (RTO), where as the new system requires EWP training for high risk license only to be performed by a RTO or a training company aligned with a registered RTO. To comply with this legislation Jack Australia has been aligned in partnership with HPOTS RTO-90352. Under legislation, RTO’s or training organisations aligned to an RTO are the only groups who can deliver and assess high risk training package units of competency. Upon successful completion of an EWP training course, applicants will be issued with a nationally recognised statement of attainment for TLILIC-2005A licence to operate boom type elevating work platform over 11 metre. This will allow applicants to apply for an elevating work platform (WP) license, identified as a “HIGH RISK” licence category by Safework (NSW). The quality of EWP training delivered by Jack Australia is of a high standard exceeding the requirements of Australian Quality Training Framework (AQTF). Also and meeting stringent EWP operating requirements. Our Elevating work platform (EWP) training process equips applicants with the practical skills and knowledge needed to ensure they are reaching the standards outlined in the NTIS unit of competency and provide documented evidence, potential licensees have received the required elevating work platform training exceeding the minimum level required. Jack Australia is committed to provide a safe work environment, and contribute to building a culture of safety in the workplace minimising the risk of accidents to all workers, co workers and members of the community. This website has been designed to assist applicants and provide them with the relevant information required to apply for licencing to operate EWP’s, elevated work platforms. We hope you find this a useful tool to assist you with your requirements. However if you have any suggestions or clarification required on information we have provided, please contact us, your feedback is important to our development. However Jack Australia recommends any user’s of machinery to consult with relevant authorities regarding licence requirements needed to comply with federal, state, and occupational health and safety requirements.